Alright. It’s finally time for that post that everyone wonders about and speaks of in hushed tones. It’s time for the post about inhuman, or demonic, spirits. Can I tell you a story? It’s funny and short. Trust me. About 15 years ago, before our children came along, when my husband and I were still newlyweds, I first started reading about demonology. In fact, I was cutting my teeth on a book called The Demonologist by Gerald Brittle. It’s an account of the lives of Ed and Lorraine Warren, well-known paranormal investigators and demonologists and founders of NESPR. My husband was out of town on business and while reading said book I had managed to freak myself out. Completely. I called a friend, asking if I could stay at her house for the night. She asked if I was afraid of burglars and I replied, “No, I’m afraid of demons.” She still laughs about that to this day. But I am. Afraid of demons, that is. And you should be afraid as well. But here’s the thing. Having a demonic oppression/possession going on in your home with you or a loved one being the focus of its inhuman energy? Is about as likely as you winning the lottery. Or being eaten by a great white shark. Or getting struck by lightning, while being eaten by said shark, all while learning you just won a million dollar jackpot. What I’m trying to say is that it’s a very rare occurrence. And not only is it rare, but you had to have invited (purposefully or inadvertently) said spirit into your home for it to wreak havoc. You smell cigar smoke or perfume or hairspray, etc. Even these instances can be attributed to human spirits who just need a good spanking. Seriously. If these types of things are happening, you may have a case for a demonic or inhuman haunting. Hollywood has done us in the paranormal field a favor and a disservice when it comes to the paranormal. Because of great shows like Ghost Hunters and Paranormal State, the paranormal is now a front-row topic. We don’t talk in hushed tones to trusted confidantes about the shadows seen on the staircase. Talk of ghosts is no longer relegated to campfires and Halloween. We can now talk, over dinner, in a publicly, crowded restaurant, about that ring and how you know you put it in the jewelry bowl in your bathroom before bed and how the heck did it end up on the kitchen counter the next morning? The one place where Hollywood has done the paranormal field a disservice is sensationalism. To sell tickets and ratings we want BAD and HORRIBLE and AWFUL which translates to portraying hauntings as gory, life-threatening, demonic affairs that leave us under the covers making sure nothing is poking out. This means that every time a lover of the paranormal hears a bump in their home, they may be convinced that it’s the worst that could possibly happen. Paranormal Georgia Investigations does not have a demonologist on staff. Several of us in our investigative group know enough about demonic hauntings to see the signs and get the proper help. And in our four years, we’ve never had to use that knowledge. And I hope we never will. 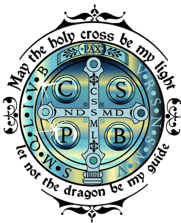 If you truly believe that you are dealing with a demonic oppression or possession, and you have no access to a Catholic priest or some other member of the clergy, then you should contact one of the people and organizations listed above. But don’t expect any regular paranormal group to be able to fix the problem. Demonic oppressions and possessions involve a lot of heavy-hitting experience that 99.9999% of the paranormal groups out there don’t have. And that includes us. This entry was posted in general, inhuman and tagged Atlanta ghost hunters, Atlanta paranormal investigators, Georgia ghost hunters, Georgia paranormal investigators, ghosts, North Georgia ghost hunters, North Georgia paranormal investigators, paranormal, paranormal georgia, Paranormal Georgia Investigations, paranormal investigators, PGI. Bookmark the permalink. Sarah, we would be glad to look at your pictures. If you could email us at PGIBoard@gmail.com and send us your pictures and detail what is happening, we’ll be glad to get you some answers. Thanks! Please help me. I get attacked by an unseen entity almost daily. This has been going on now for 8 years. I have seen lots of people that have claimed they can help me, but they only took my money, took advantage of my situation, and made it worse. Please help me or put me in contact with someone that can rid me of this horror. I’m going to suggest that you contact a group such as Paranormal Clergy. Their web site is located at http://www.paranormalclergy.com/Paranormal_Clergy/Welcome.html. Good luck! I have something that happened to me that still haunts me to this day. This relationship that I was in was a very violent one to no end. At times i only saw death as a way out. One night the toy I had bought my daughter was talking by itself and was on my desk in the room and me and my friend at the time had just started arguing the room was dark and he began to choke me and at the same time the doll was talking and I looked into this guys eyes and they turned a bright red glowing. I freaked out. Later that night it happened again when he asked me if I wanted to see something I sat up in the bed and there were those glowing eyes again. I left him, later found out that he asked a guy to kill me the guy told me he couldn’t do that to me. Then two more things happened he shot his sister in the leg because she wouldn’t him hold her car then he beat his girlfriend so bad that the baby she was carting had a broken collar bone among other issues. The girlfriend some passed 2 years later. I would love to know was I dealing with a possessed man or just someone evil? My boyfriend and I have been experiencing strange happenings lately. I’m going to name the first time something was wrong, my boyfriend used to go to a church called hells church, its in canton georgia. but ever since he started going his basement has had a sudden heaviness to it. the moment i walked in i felt pressure on my chest. moving on with what has been occuring, we were at my house one night and i keep a cross on my door, it started shaking, i belived i had opened the door but now that i look back on it i was in my room with him for about 15 minutes. The other night at my house while i was sleeping, he said that my closest door had opened all the way. He said he felt as if someone was watching him. After he told me i went to go grab him one of my crosses to wear and i felt a sharp pain on my lower back, there were only two scratches in the area. This morning he texted me at 7 am saying that he had a night terror, explaining that in the nightmare that he couldn’t breathe and that he had been scratched, saying there had been three in the night terror. he also told me that he looked in the area but it just burned in the same spot he was scratched in his dream. He has been growing sick and his mental state has been growing weaker and weaker. please contact me if you can, im afraid its going to get worse.